A lot happened in 1970, The Beatles split-up, the world lost two rock legends Jimi Hendrix and Janis Joplin, the world’s first jumbo-jet, the Boeing 747 had its first commercial flight and the Concord made its first supersonic flight. There was also the Nuclear Non-Proliferation Treaty that went into effect after ratification by 43 nations, both the United States and South Vietnam invaded Cambodia, the first computer chess tournament took place and George Gray invented Liquid Crystal Display (LCD). 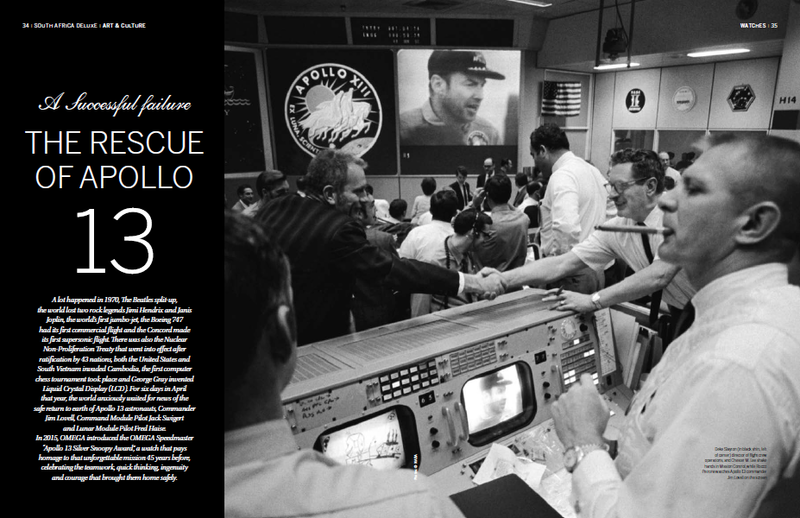 For six days in April that year, the world anxiously waited for news of the safe return to earth of Apollo 13 astronauts, Commander Jim Lovell, Command Module Pilot Jack Swigert and Lunar Module Pilot Fred Haise. In 2015, OMEGA introduced the OMEGA Speedmaster “Apollo 13 Silver Snoopy Award”, a watch that pays homage to that unforgettable mission 45 years before, celebrating the teamwork, quick thinking, ingenuity and courage that brought them home safely.